The association is one of the fastest growing at MSU and wants to set a positive atmosphere for all members. 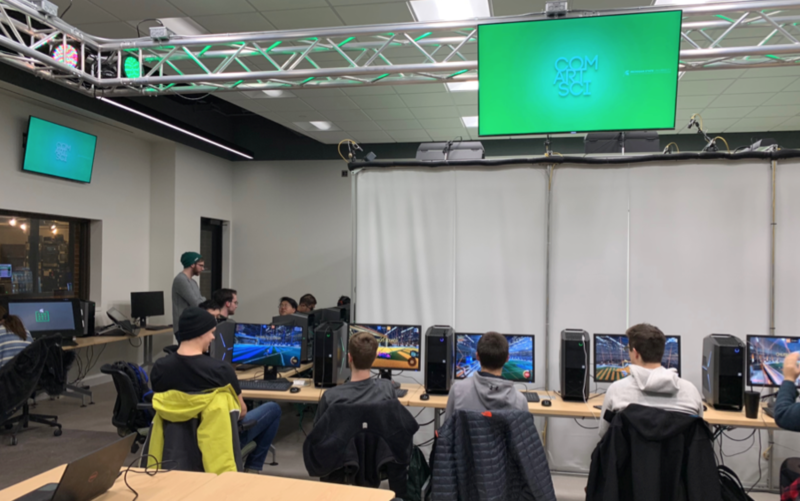 EAST LANSING, Mich. – Two years ago, Michigan State student Chris Gelety founded the eSports Association (ESA) to help organize the growing online gamer community. Today, the young association is working on making its community diverse and inclusive for video game lovers. There are 10 teams in the ESA: Fortnite, CS: GO, Rainbow 6 Siege, Hearthstone, Starcraft, Rocket League, League of Legends, Overwatch, Smash Ultimate, and Fighting Games. Student Sydney Shea plays at Communication Arts and Sciences Building at Michigan State. The stereotype of e-gamer groups usually shows a world devoid of women. But that may not be true, according to association President Joseph Lewis. “If you look at the demographics and statistics throughout all the games that we offer… a lot of my master’s work has been looking at these demographics…you’ll find that most go between 60-40 and 50-50, sometimes even 60-40 in favor of women,” Lewis said. MSU’s ESA is running counter to perceptions, thanks to women such as Alexis Ly. She has been part of the eSports scene for the past three years and was a previous ESA vice-president. She is off the board this semester, as she is interning at Tesla. “As a woman, I see no difference in companionship or comradery; as the main goal of these clubs is to just have fun with people who have similar interests as you,” Ly said. 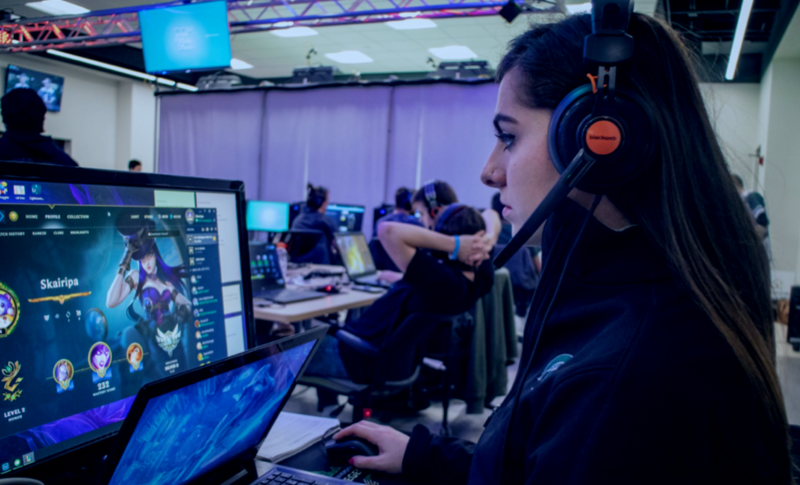 On the national level, eSports has faced negative criticisms based on the lack of females in the spotlight. But instead of making a preconceived judgment, MSU’s ESA wants people to realize the genuine community in which it is striving to build up. The way to truly see the diverse and welcoming environment in which the ESA provides at MSU is simple; game on. “It’s hard to describe the environment without experiencing it yourself,” Jerod D’Epifanio, StarCraft 2 club president said. Although the national numbers can be promising and the vision of MSU’s ESA is hopeful, a growing gaming community will produce difficulties for the executive council. Isolating and righting situations is something ESA had to do in the past. Communication Arts and Sciences Building room where ESA hosts its meetings for game play. Lewis and the ESA council have made numerous amendments to their constitution and have a zero-tolerance sexual harassment policy.